﻿Brain tumor tissue can be hard to distinguish from normal brain during surgery. Neurosurgeons use their best judgment in the operating room but often must guess exactly where the edges of the tumor are while removing it. Even the state-of-the-art imaging equipment in today's OR still doesn't make the process much easier. 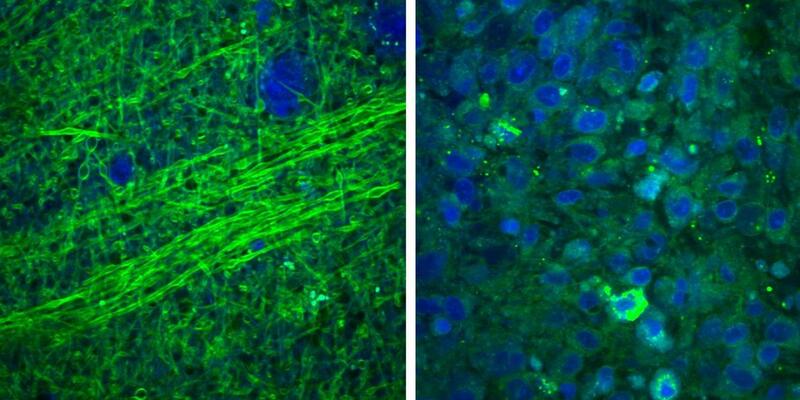 But a new laser-based microscopic technology may help surgeons see the difference between tumor tissue and normal brain in real-time. Called a stimulated Raman scattering (SRS) microscope, it's now being tested at the University of Michigan Health System. Researchers have used the SRS microscope to image more than 60 patient samples since June - the first clinical test of the technology. The latest research was published in Science Translational Medicine. Working with experts from several institutions including Harvard University, where SRS microscopy was developed, the researchers used SRS microscopes to image brain tissue from neurosurgical patients. They were able to visualize tumors that otherwise would be invisible to the surgeon in the operating room. 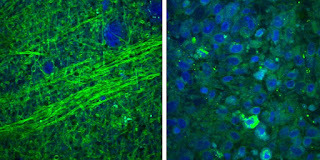 "This technology has the potential to resolve a long-standing issue in cancer surgery, which is the need for faster and more effective methods to assess whether a tumor has been fully removed," said Richard Conroy, Ph.D., director of the Division of Applied Science & Technology at the National Institute of Biomedical Imaging and Bioengineering at the National Institutes of Health, which provided funding for the development of the technology. The next version of the device would sit close to the operating table. Surgeons could readily insert a fresh tissue sample into the device, which would generate microscopic images on the spot. The entire medical team would be able to use and understand the device easily and the images produced would help determine immediately whether more surgery is required. To get microscopic images today similar to what SRS produces, surgeons have to wait a half hour or more for tissue to be frozen, sectioned, stained and interpreted by expert pathologists trained to spot the difference between cancer cells and normal brain cells. "The ability to determine tumor margins without having to send samples to a pathologist could increase patient safety and improve outcomes by shortening the length of surgeries and reducing the number of cases where cancer cells are left behind," Conroy said. If the current test goes well, the technology could be submitted to the FDA for approval within two years. Based on material originally posted by University of Michigan Health System.